All gauages will be installed in a new burl walnut dash from CG Autowood. Pictures can't do this justice. These are new electronic gauges that look like the originals. 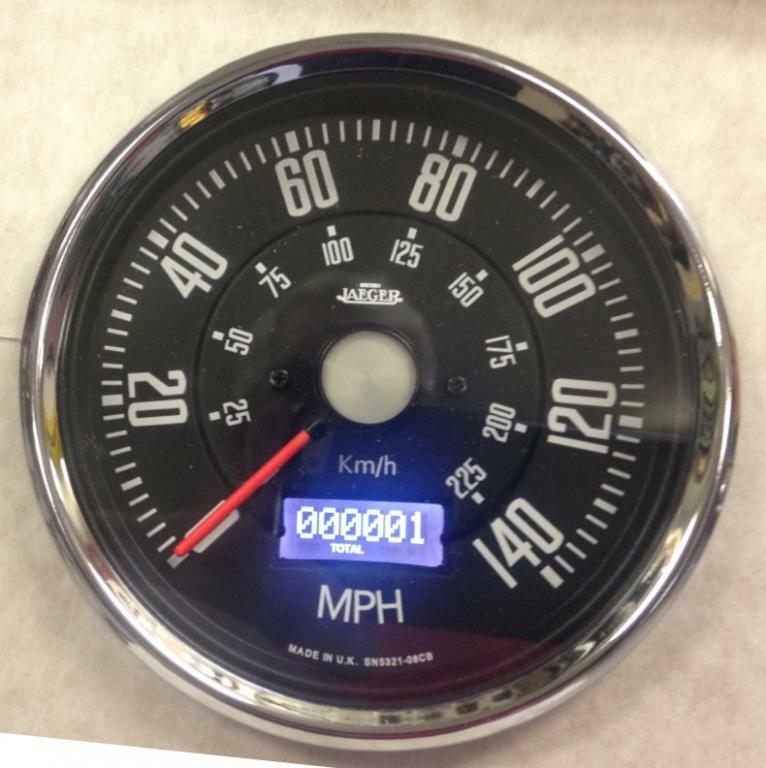 This speedometer will work with a modern electronic speed sensor. The tachometer too looks like the original, but is compatible with modern electronic ignition systems. Here's one installed. Like many new cars, it makes the 'test' sweep of the gauge when powered on. 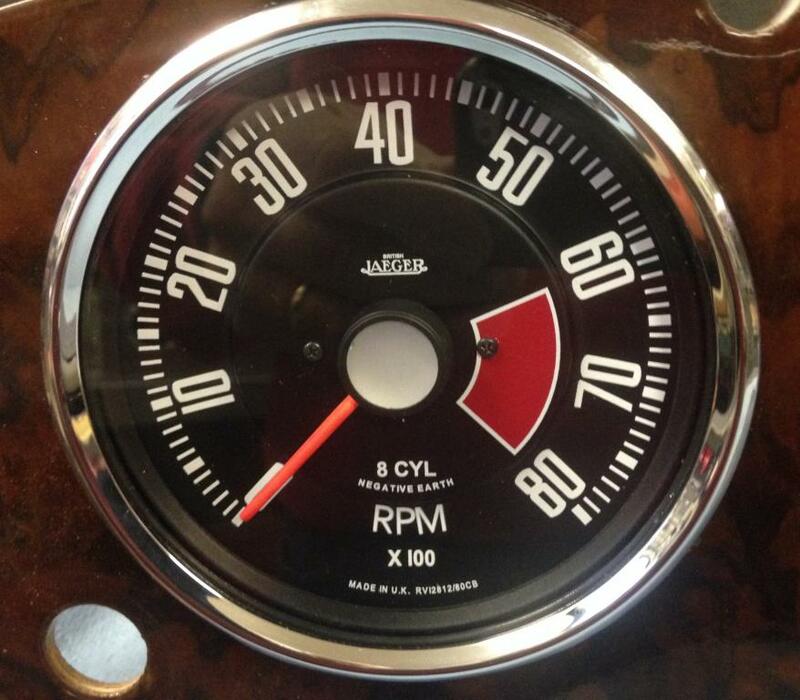 That beautiful dash will be paired with a restored wood wheel and horn ring (not shown).